Desert hiking offers a lot of great benefits - dry weather, few bugs, beautiful open views - but makes up for them in the challenge of finding water. 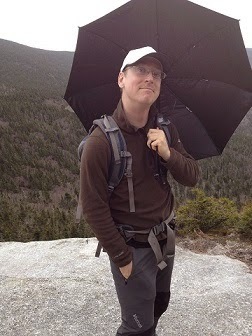 On the PCT, I was essentially spoon fed water information from the water report. Hikers ahead would text message a trail angel with the status of water sources, listed by mile number, who would then update the website so it could be printed in the next town. Libraries and popular trail angels caught on and offered a stack of pre-printed water reports from that week. You didn't even have to print them! This kind of certainty makes hiking in the desert and water caches largely unnecessary since you almost always know what to expect ahead. The AZT, and CDT both have online water reports but they are updated much less frequently than the PCT because there are far fewer hikers. 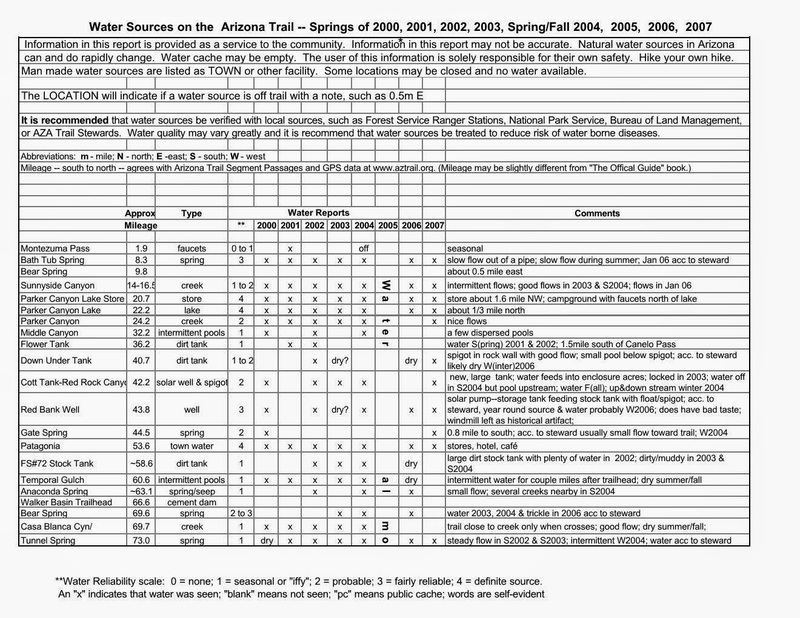 Much of the latest information on the "current" AZT water report is from April of 2014. 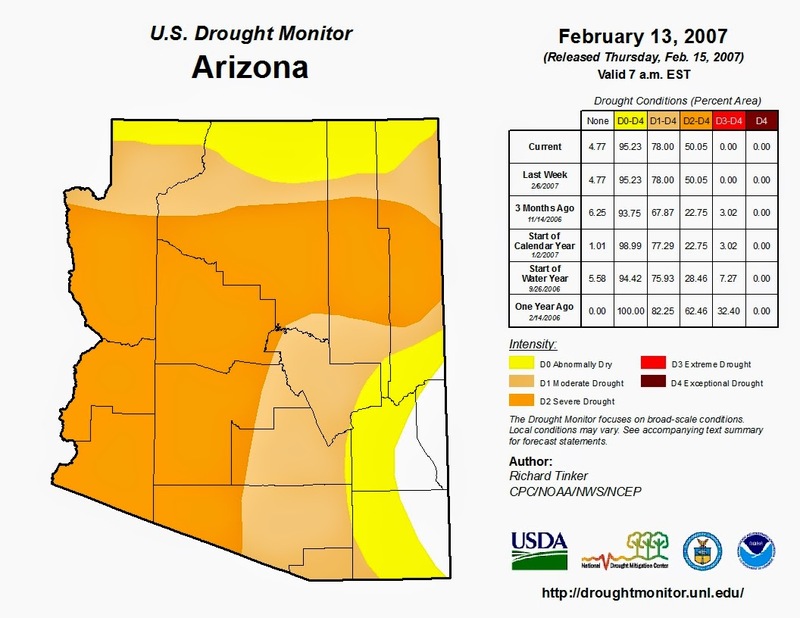 Arizona has experienced an entire monsoon season and most of a winter since then! Instead, it helps to look at the historical data and compare to previous years. Fortunately the trail associations for the GET and AZT maintain a list of historical water reports. I can't seem to find one for the CDT but the Ley maps make notes of when sources ran dry and last years water report is still up. 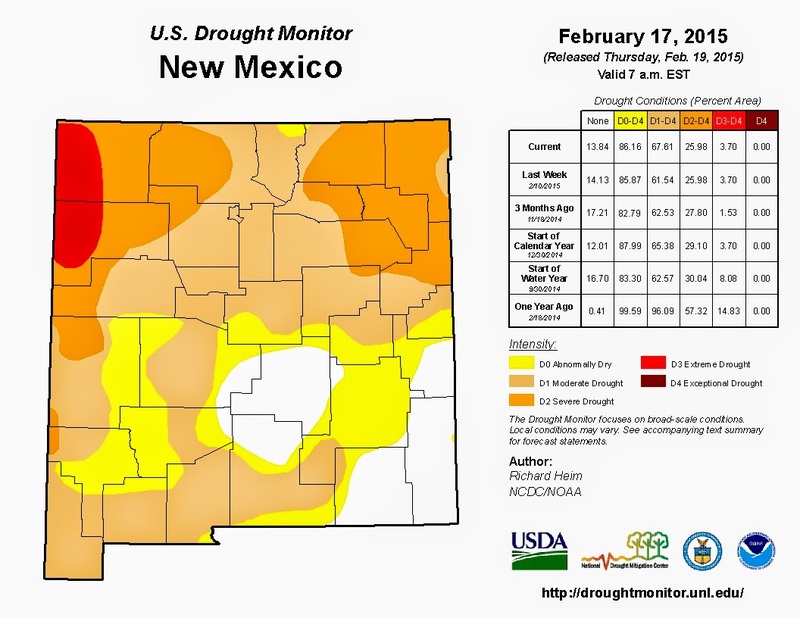 I think this is because most water sources in NM on the CDT are man-made from cattle ranchers and don't vary as much as the streams and springs found on the AZT and GET. Anyway, for the AZT and GET the problem lies in figuring out what year in the historical database your hiking year is most similar to. This is more easily done part way into the hike once you've noticed what's running and what isn't, but at the beginning it can be a guessing game. Water sources are listed by mile from the southern terminus with a brief description and reliability rating from 1 to 4, with 4 being always reliable. The next set of columns indicate whether a source was running (x) or dry or no information (blank). A brief look shows 2005 as a very wet year (the note reads "water almost everywhere" with 2006 and 2003 as especially dry years. Next we have to figure out how those years compare to 2015. 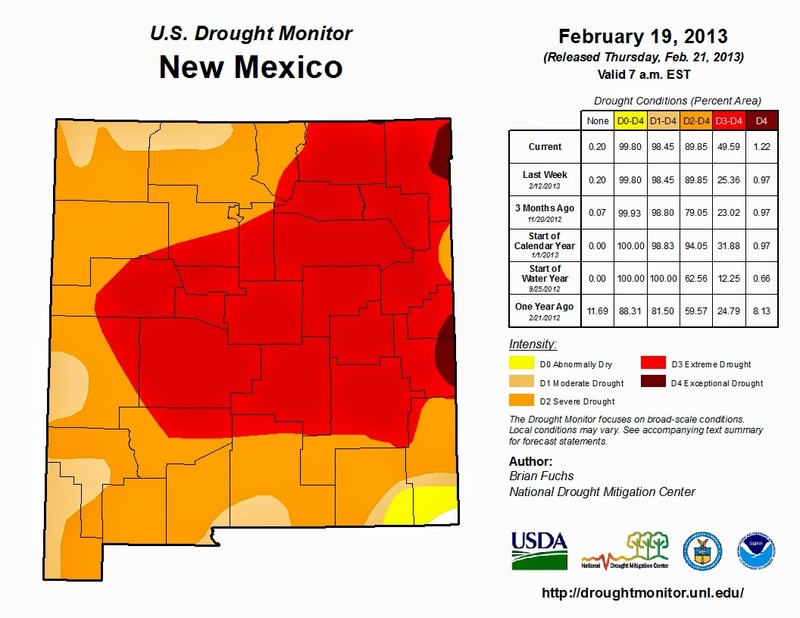 Fortunately the libertarians have yet to completely eviscerate the federal government and there is an enormous amount of publicly available data from the US Drought Watch. 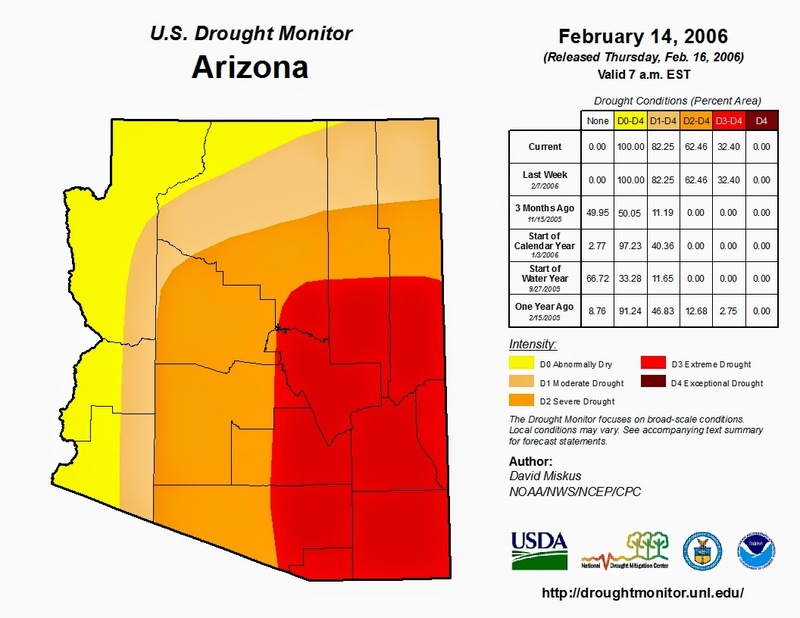 You can select individual states and get reports from the current month back to January 4, 2000 for Arizona. The AZT runs roughly north from the bottom center corner of the state. If I had a GIS program, I could import those layers and a GPS track of the trail but that's going a little more in depth than we need. 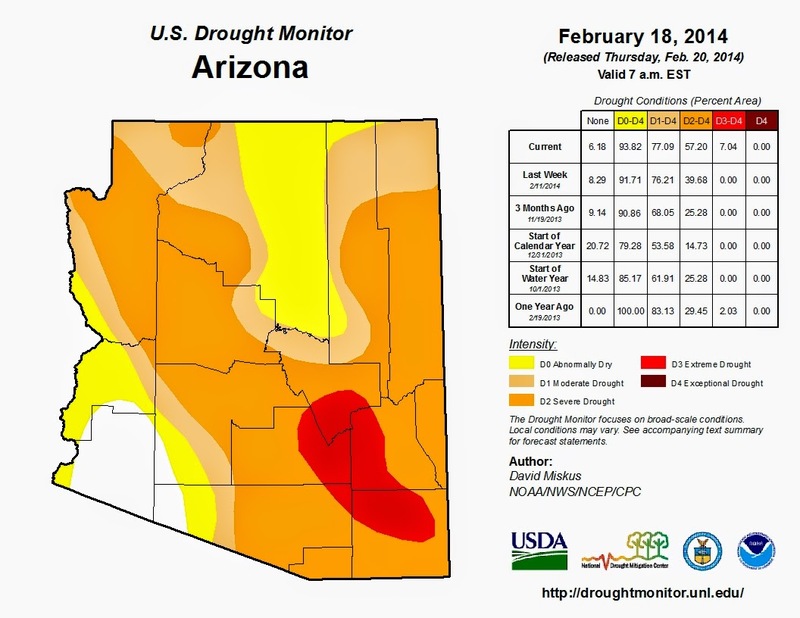 Arizona gets most of its water in the summer monsoon season (July through September) and the winter months (December through March) so things are more likely to improve than they are to get worse for my start on March 16th. From this, we can guess that most sources in the historical report for 2007 will be similar in 2015, and that anything running in 2014 will likely still be running in 2015. That way if the water report isn't updated I can still estimate when the next water will be (although I still plan on updating the water report as I go for anyone behind me). 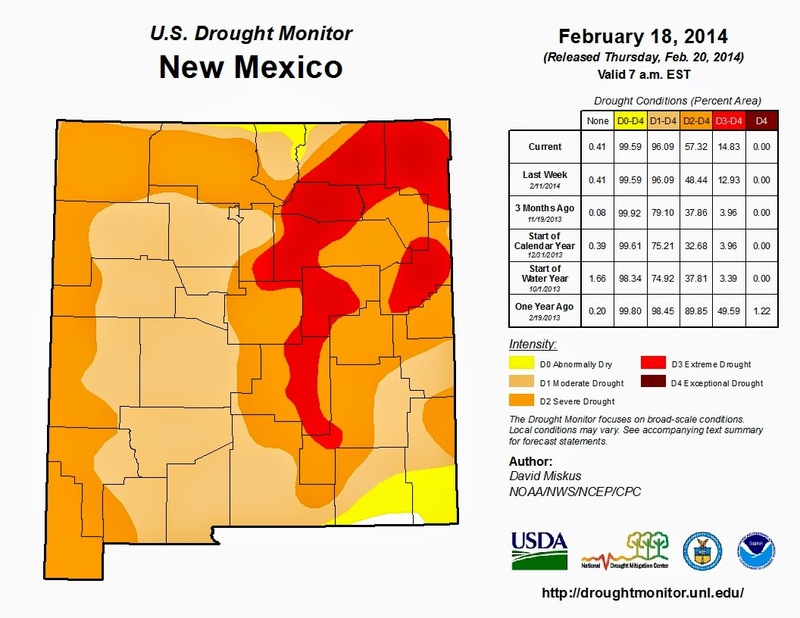 I estimate I'll be entering NM on the GET towards the end of April and a lot can change between now and then but we can draw similar rough conclusions as with the AZT water. Excellent analysis! 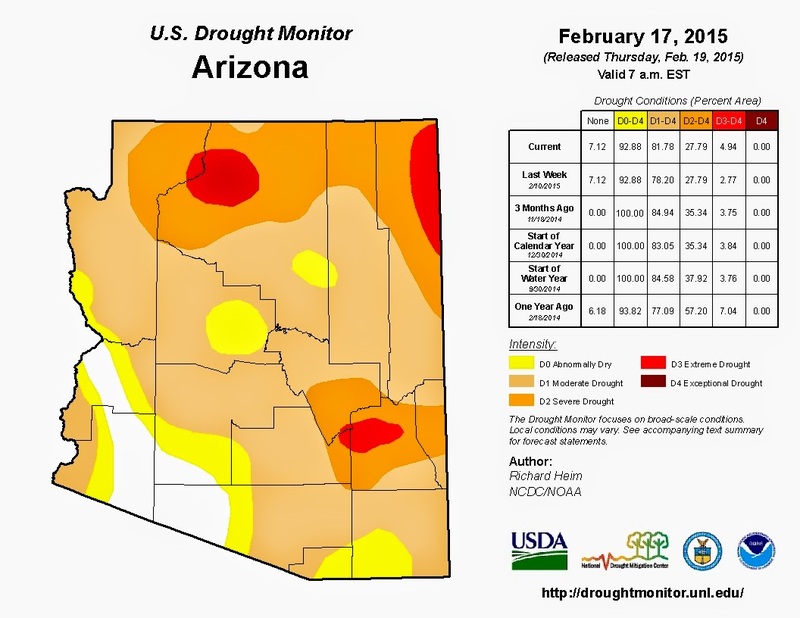 I'm heading out on the Arizona Trail in early March, and this gives me a much better idea of how to interpret the AZT reliability ratings and 2014 water report. Thanks for sharing this. Awesome! Glad you learned something, I had only heard of the method and poked around until it made sense. Great info for planning. Thanks!